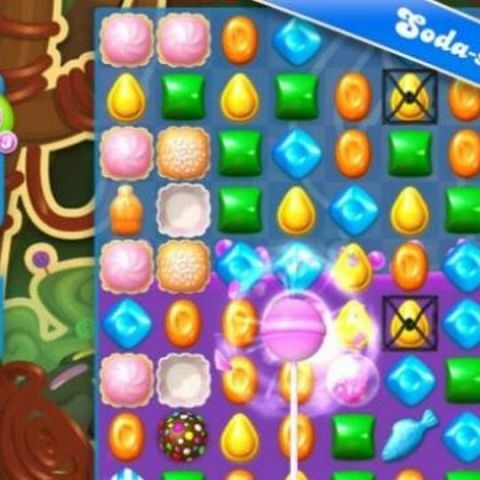 Candy Crush Soda Saga sequel soft launched on Google Play Store. King.com, the maker of popular mobile game Candy Crush, has launched another version of the game called 'Candy Crush Soda Saga' for Android. The game has been soft launched in Canada, Sweden, Spain, and the Netherlands and can be downloaded from the Google Play Store. The Candy Crush Soda Saga has a purple soda liquid which makes the candies in the grid float up instead of fall down, rest remains the same (match-three candies). Users can match candies across 75 levels to make through a soda-soaked world. The game's description in the Google Play store listing reads, "Switch and match your way through new dimensions of game play in this juicy puzzle adventure. Embark on an epic journey through the magical Kingdom to discover the hidden secrets behind the Candy World [..] Take on this challenge alone or play with friends to see who can get the highest score! [..] This game is completely free to play but some in-game items such as extra moves or lives will require payment." The game has boosters for challenging levels and promises "75 sweet levels in this magical world." Users can unlock full game features as long as they have access to the Internet. Leader boards are also available for more competitive players. King Soft has not mentioned when the game would be launched globally, but according to rumors, Candy Crush Soda Saga will be launched in the second half of the year, followed by an iOS version. However it remains to be seen whether the game will actually be launched on iOS as the game doesn't comply with Apple's new Developer Guidelines. The new policy dissuades developers from sharing the game on social networking sites, monetizing their apps and video sharing, which Candy Crush Saga does regularly. Is there any alternative of candy crush game ?